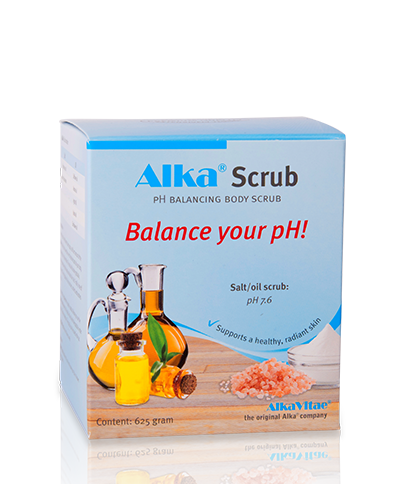 Alka® Scrub is a unique pH balancing body scrub formula. The salt mixtur of Sodium Bicarbonate and unrefined Himalayan salt, neutralises excessive acidic waste, mineralises your skin and removes dead skin cells. The rich combination of Safflower Oil, Almond Oil, Jojoba Oil, Argan Oil, Sunflower Oil and Vitamin E further soothes, nourishes and protects your skin, leaving it conditioned and soft again. Rinse off your skin with water, then apply a sufficient amount of the salt-oil scrub to wet skin over the desired parts of your body, massaging in a circular motion. 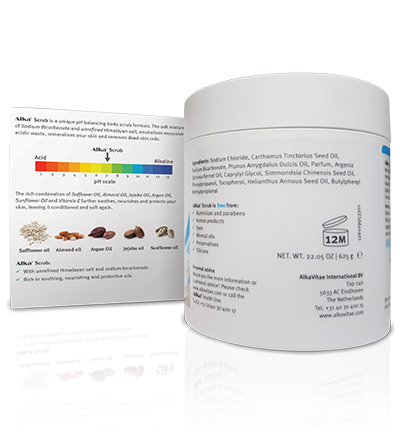 The salts will dissolve gradually, removing excessive acidic waste and dead skin cells. Finally, rinse off with water. The rich mixture of oils nourishes, protects and soothes the skin. This product is supplied with a plastic spatula. 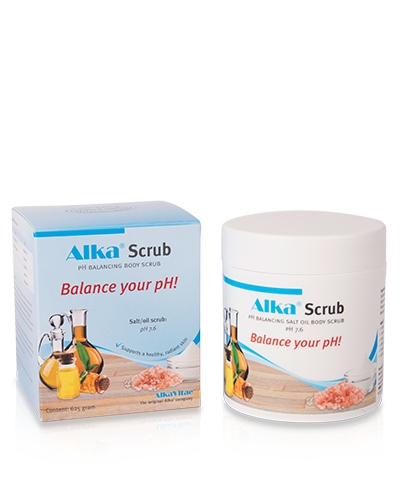 Before you use the Alka® Scrub please stir the salts in the oil with the spatula in order to obtain a uniform mixture. The spatula can be stored in the jar. 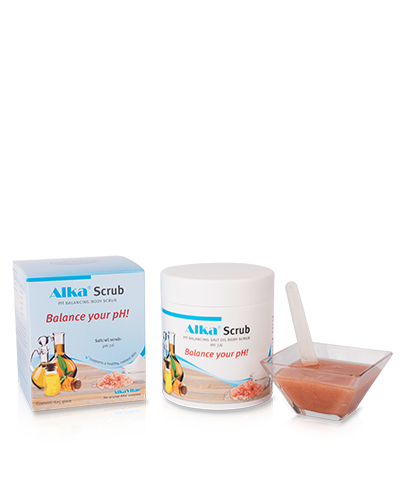 Alka® Scrub contains oil, so it may leave your tub or shower floor slippery. Ingredients: Sodium Chloride, Carthamus Tinctorius Seed Oil, Sodium, Bicarbonate, Prunus Amygdalus Dulcis Oil, Parfum, Argania Spinosa Kernel Oil, Caprylyl Glycol, Simmondsia Chinensis Seed Oil, Phenylpropanol, Tocopherol, Helianthus Annuus Seed Oil, Butylphenyl Methylpropional.